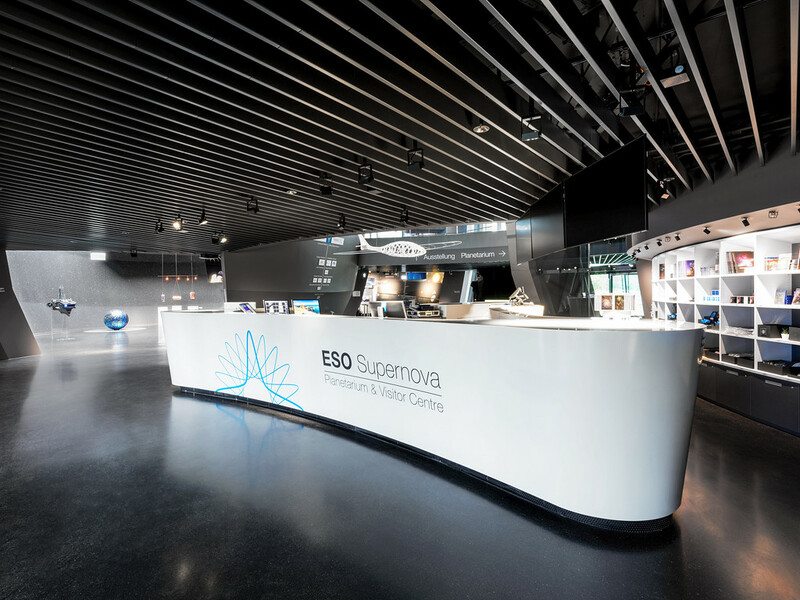 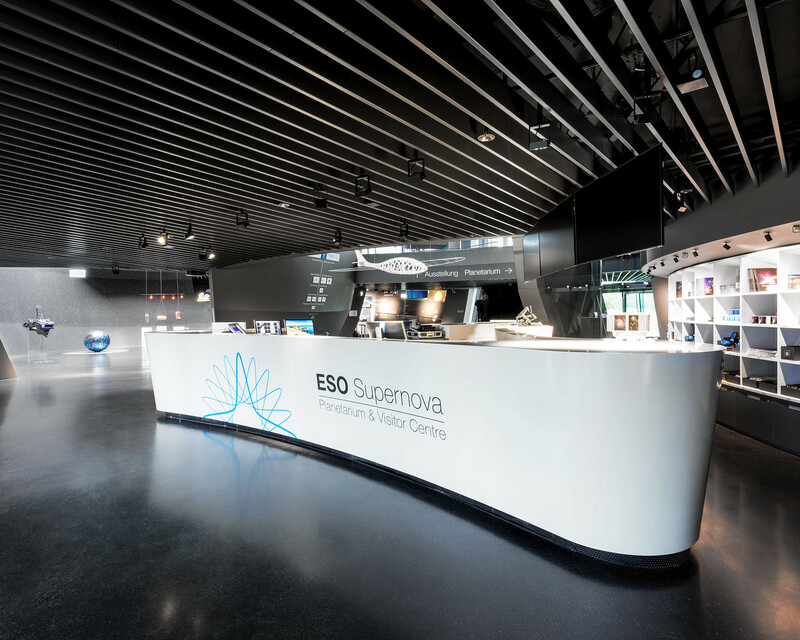 An image of the ESO Supernova Planetarium & Visitor Centre's reception desk, just inside the main entrance. 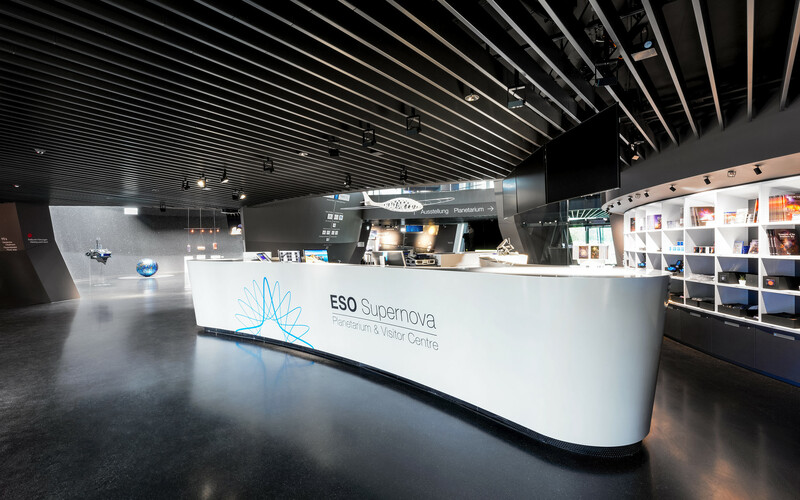 Here visitors can pick up tickets and maps to start their journey through the centre. 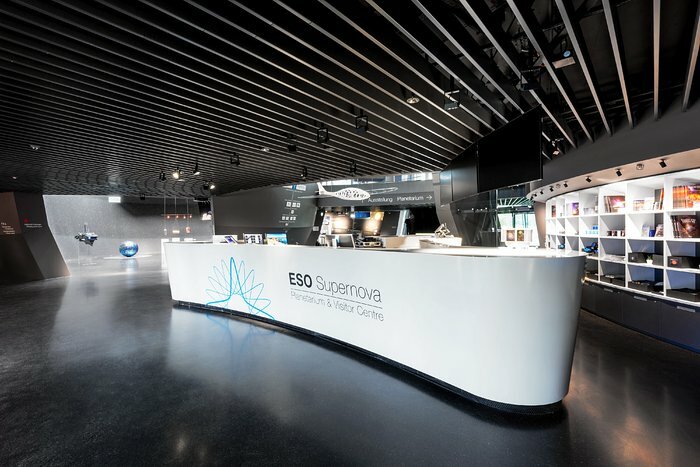 The ESOshop and the entrance to the exhibitions are visible behind the desk.